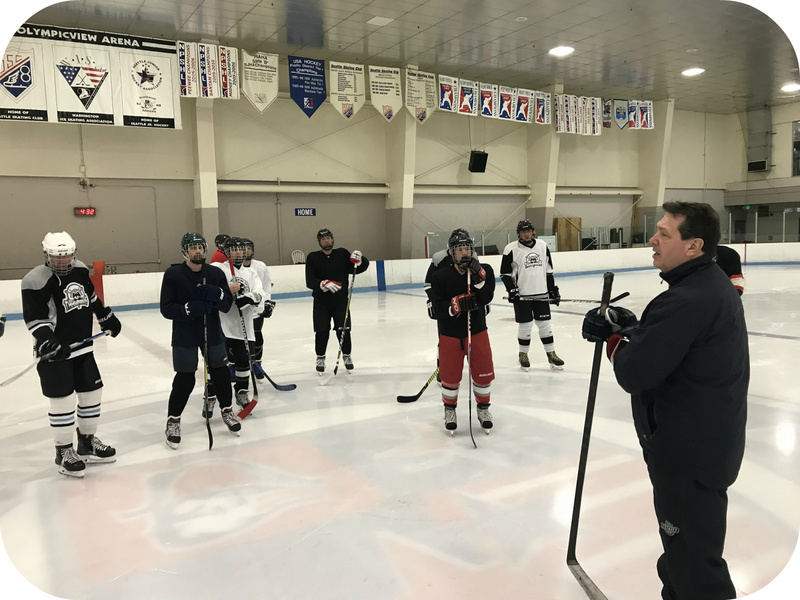 The Greater Seattle Hockey League (GSHL) and its partner rinks' Learn to Play Hockey (LTPH) programs aim to be the gold standard for hockey programs with the goal of inspiring more adults to join the hockey community. LTPH changes the way adult hockey is offered by providing weekly lessons of skill appropriate on-ice instruction by certified coaches in a fun and safe atmosphere. The GSHL and its partner rinks host year-round LTPH classes -- and the programs are open to all adults of any skill. Whether you are new to hockey altogether, or returning to the game after a long hiatus, come on out and play! Call or walk-in to Sprinker. Hockey Wolf has put together an equipment package for new players. This package includes: Bag, Helmet, Shoulder Pads, Elbow Pads, Gloves, Ice Pants, and Shin Guards all for $320. Complimentary jerseys & socks will be provided. Kent Valley Pro Shop is offering 15% off of all Bauer & CCM merchandise if players are missing certain pieces or wish to upgrade their old items. Complimentary jerseys & socks will be provided. Full equipment/gear required. Complimentary jerseys & socks will be provided. Time, location and dates subject to change with advanced notice. Cost indicated above may not include required USA Hockey & GSHL Memberships. Not all programs require these. Please contact the league if you need additional assistance. 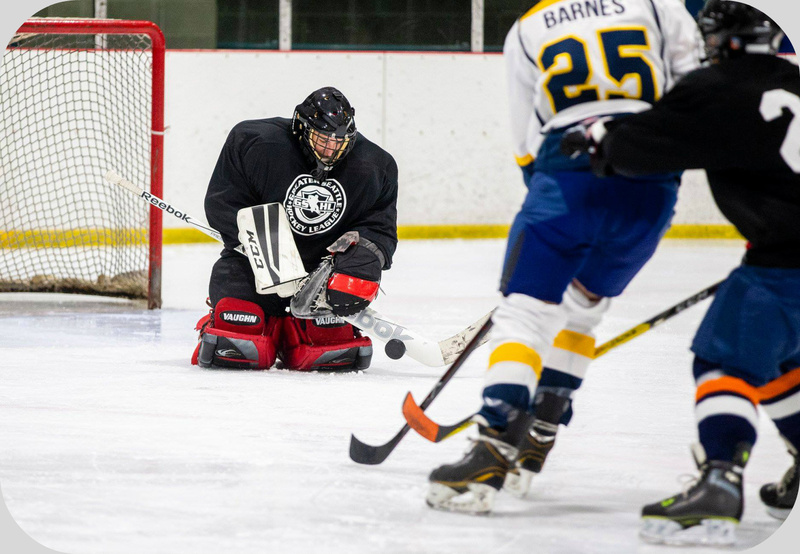 At the conclusion of each program, your class forms into team(s) that jump right in to division 8 (beginner/novice) league play in the Greater Seattle Hockey League! If you share the same passion for hockey as we do, that is all you need! The program is for both men and women -- and many participants join with their girlfriends, boyfriends, husbands, wives or friends. Clearly you love hockey -- that's why you are here. Perhaps you played as a kid but fell out of it by pursuing something else. Whatever the reason may be, it is never too late to get back into it. 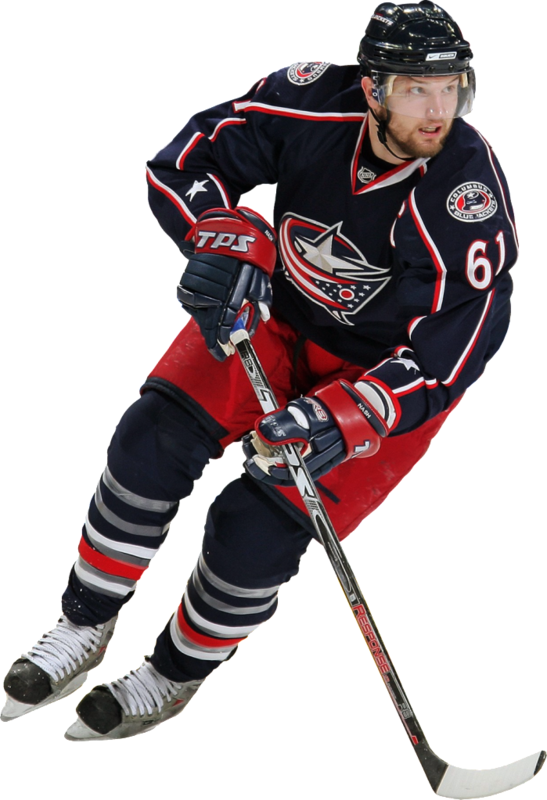 The program spans 8 weeks where we teach you how to become a hockey player. There are also pre-ice chalk talks to learn game strategy, basic rules & fundamentals, and to answer any questions you may have. While we recommend you have a basic understanding of skating, you'll learn other techniques to skating forwards, backwards, stopping, tight turns, and even crossovers and transitions. Our program will teach you all aspects of hockey. This will include passing & shooting, as well as a saucer pass, snap & wrist shots, and the famous slap shot. Once everyone grasps the individual skills, you'll start playing games! The last session is reserved for a scrimmage -- a light game where you compete against your classmates. This is the last step before the program forms into an actual team or two and enters league play. What are the ages for this program? The Greater Seattle Hockey League is an adult league, so anyone over the age of 18 is welcome with no cap! We have new hockey players sign up that are over 80 years old! You are never too old. Do I have to know how to skate? Although it will help to have some skating ability, if you have never skated before the instructors will work with you and teach you the basics to start skating and playing hockey. No previous experience is required and the first two sessions of the program are focused explicitly on skating, starting and stopping. What equipment do I need to register? The Greater Seattle Hockey League does not loan or otherwise supply equipment for our Learn to Play Hockey program. 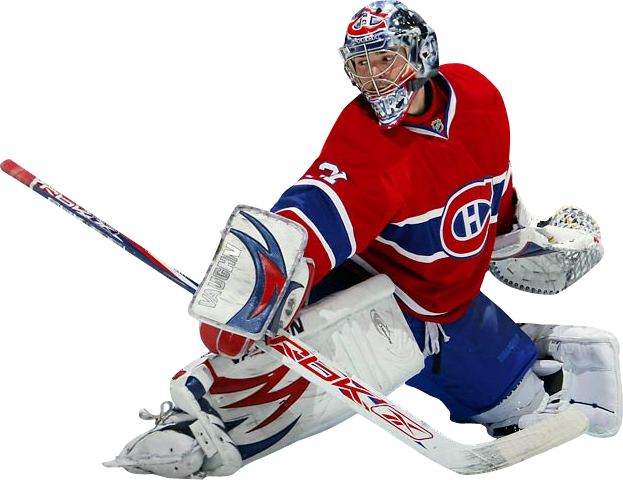 All skaters and goaltenders will need a full set of ice hockey equipment (Skaters: click here. Goalies: click here). If you do not have any equipment or have old equipment, stop by any of the local Pro Shops to acquire or be outfitted with updated equipment. Are the league and programs co-ed? The short answer is: yes! Co-ed means different things to different people. To the Greater Seattle Hockey League, it means that we treat men and women as equals, so there is no reason in the world why both genders could not play in the same program or on the same team. How does this work in the locker room, you may wonder? You may simply put your undergarments on prior to leaving home or in the separate restrooms, followed by the rest of your equipment with everyone else present so you don't miss out on the social aspects of the locker room. If you are not comfortable with this suggestion, dedicated locker rooms can be sought out at most playing arenas (depends on playing arena availability, please contact the league ahead of time to inquire). The Learn to Play Hockey program spans eight (8) weeks and all on-ice sessions are 75 minutes with some pre-scheduled off-ice chalk talks prior to on-ice instruction. Please arrive 30 minutes before each on-ice session so you have enough time to get dressed and enjoy the pre-game locker room atmosphere. Can I register during a current program? If the program is not sold out, it would be up to you and on how many sessions are left. If you are missing the orientation and one or two other sessions, it is still worth taking the program because you will have a team to play for at the end and you would only miss a little bit of material that you can catch later. Your registration costs would be pro-rated, of course. Contact the league to register. Do you provide instruction for goalies? Certainly! Each session has room for two to four goalies, and there is a qualified instructor as well as actual, more experienced goalies, present to work with new goalies for on-ice sessions. The rest of the sessions are games/scrimmages and you get to try out your newly acquired skills in real action between the pipes. After the program is over, there should be one or two teams forming that'll jump right in to play in the lowest division of the league. You are guaranteed a place to play since you get to be part of that process. If a team does not form, we will do our best to get you onto a team. How do I suit up? Great question! The process varies from goaltenders to skaters. One that can only be answered by watching these short videos. I'm ready to register, sign me up! First, if you don't already have them, obtain both USA Hockey and GSHL Memberships. Unless you already have everything, acquire all of your required -- and suggested -- hockey equipment. If you need help understanding what equipment is needed -- and acquiring your equipment -- head on over to our Pro Shops page. Check the schedule above for the dates, times & location. Please register by clicking here.